Life is full of conflict--there’s inner conflict, conflict in relationships, and of course, conflict in our communities and in our world. Jesus said, “Peace I leave with you; my peace I give to you. Not as the world gives do I give it to you. Do not let your hearts be troubled or afraid” (John 14:27). Jesus wants to give us the gift of peace, and real peace--peace in our hearts and peace in our relationships--is only possible through the Risen Christ. Knowing Christ helps us live with and respond to conflict in a better way. 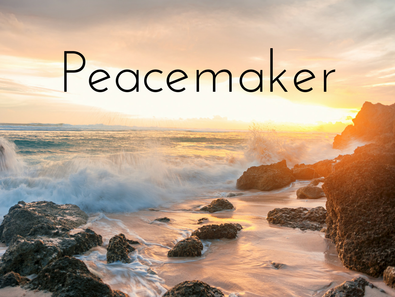 Christ is the peacemaker, and when we accept his gift of peace, when we let it fill us, then it flows out of us and affects all of our relationships, and we become peacemakers too.